The Multi-size mSATA to SATA III Converter Kit allows for flexible installation of an mSATA to SATA device anywhere. 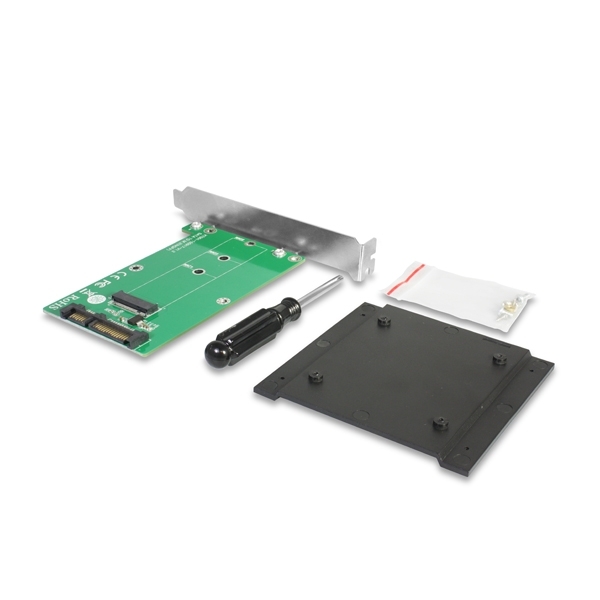 This device can be mounted in a Standard card slot, Drive bays or other custom mounting method available. 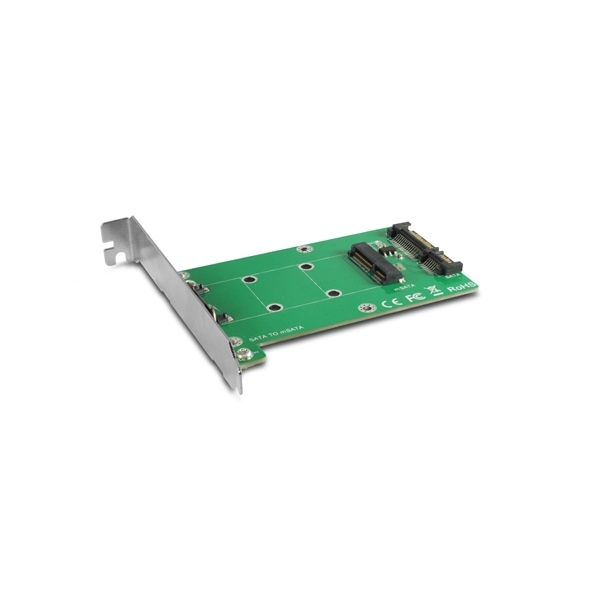 This mSATA Converter offers an mSATA interface for connecting mSATA Solid State Memory for the fastest speed possible for your system. It could be used for super-fast booting and application loading or application that requires super-fast storage. This Converter offers the same 6Gb/s performance that you will expect from the mSATA using the pass thru function. 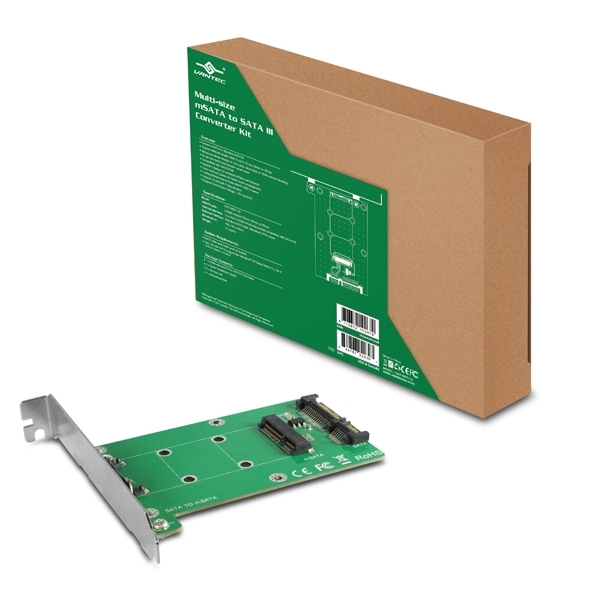 Its unique design allows for different size mSATA card like 27mm, 50mm, and 70mm in length to be fitted into the system easily. This converter will give you the flexibility and performance that you need.